When planning a reunion, the most important things to consider are food, activities and location. Kids are hungry all the time, so it's a good idea to choose a place where you will be able to cook some of your own meals. Your reunion destination should also have a diverse choice of activities - fun active outdoor games for kids and relaxing spots for grown-ups. The location is important too. In Maui, Hawaii there are several excellent choices that will put you right on a sandy beach where everyone can have fun swimming and sunbathing. 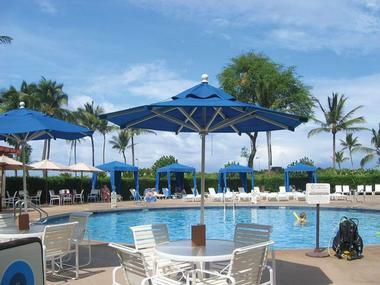 Napili Kai Beach Resort on Maui offers a relaxing setting for a reunion. The resort is privately owned and many of its employees have worked at Napili for over 15 years. All of the buildings on Napili Bay are low-rise and the atmosphere is very relaxed. The resort offers special services to families that reserve four or more units for at least five nights. If there is availability at the time of booking, you can secure a specific building and floor. The family will also receive a complimentary photo session, personalized T-shirts and tropical flowers in each room. When reserving 10 units or more, ask for a group discount which may be available. There are a number of acclivities to choose from at Napili Kai. There are four swimming pools, a sandy beach, 18-hole putting green and a heated whirlpool. The resort organizes seasonal putting parties and Mai Tai parties. Garden view condos with a fully-equipped kitchen start at $250 per night plus taxes. Ocean view accommodations are $270 and up. There is no resort fee and many activities at the resort are complimentary, including the seasonal kid's program. Guests can prepare their own meals in the condos, or grill at the four barbecue areas. Laundry facilities are also available. The weather on Maui is warm and sunny year-round. The waves are usually higher in the winter, but Napili Beachis protected by a reef and is calm enough for kids most of the year. Trips with kids are very popular at Napili Kai in the summer and during the holidays. There is a complimentary children's program during this time. But if you want to request specific condo units for your family reunion, book well in advance. The western end of the island of Maui is sunny and warm. It offers activities for the whole family that range from rides on the sugar cane train, tennis, golf, shopping and relaxing on sandy beaches. The main advantage of staying at Kapalua Villas during your reunion in Hawaii are special guest rates at Kapalua Resort facilities. The resort has two championship golf courses, three beaches and the Kapalua Tennis Garden where guests get complimentary tennis time. 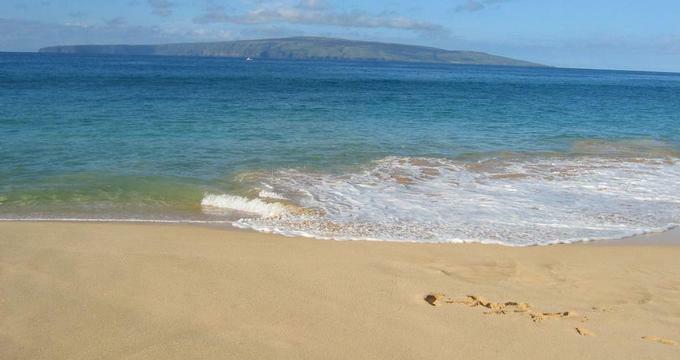 The villa rentals come with a concierge that can arrange different activities on Maui. Fully-equipped kitchens and washer/dryer facilities can be a big money saver when vacationing with a large family. Each villa also has a private lanai and twice-weekly maid service. Villas offer one-, two- and three-bedroom configurations and locations near the beach or close to the golf course. Rates start at $209 per night, depending on the season. 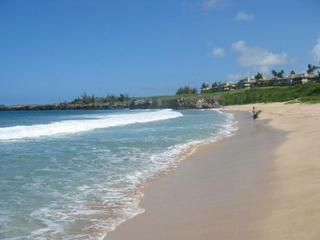 At the Makena Beach & Golf Resort the whole family can enjoy a day filled with different activities. Play table tennis, badminton, tennis and golf. Relax on the beach, snorkel, swim, and attend the scuba diving demonstration in the pool. The hotel offers a supervised program for kids (there is an additional cost) and children's menus in the restaurants. In the evening, the area surrounding the hotel is quiet and you can go to bed early with the doors to your terrace open, listening to the waves. While you are staying at the resort, you can also sign up for a variety of nearby activities, including biking, hiking, scuba diving, and day trips to the nearby islands. The sandy bay is beautiful and sheltered by lava rocks on its north and south ends. The Activity Center rents snorkeling equipment and kayaks. Sometimes the best way to fully relax is to plan a day of leisure by the pool. There are two separate pools right next to each other, one for grown-ups and a smaller pool for kids. The area is surrounded by fragrant bushes and palm trees. Guests can rent cabanas and pick up pool toys. Towels are complimentary for hotel guests. You won't have to go far to eat lunch or enjoy a cocktail. The Pool Bar offers a special menu for kids. Snorkeling is a must-do here. Look for sea turtles, coral, and blue and yellow fish. Easy to learn, snorkeling is the perfect activity for families to enjoy together. Just don't forget to put on sunscreen, or better yet, wear a rash guard or a long sleeve shirt to protect your back from sunburn. Book one of the ocean front or ocean view rooms for best views of the water. The hotel has several restaurants, some with indoor and outdoor seating. Don't miss a romantic sunset from the Molokini Lounge. 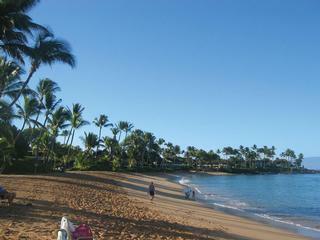 A few minutes south past the hotel lies Makena Beach, one of the most beautiful bays on Maui.